In 2007, artist Jonathan Harris travelled to Bhutan to explore the Gross National Happiness paradigm. Balloons of Bhutan documents his effort to capture “a portrait of happiness in the last Himalayan kingdom” through breathtaking and inspiring photos and videos, catalogued on an interactive multimedia website. Harris asked 117 people of various ages and backgrounds, five questions pertaining to happiness: what makes them happy, what is their happiest memory, what is their favourite joke, what is their level of happiness between 1 and 10, and, if they could make one wish, what would it be. He then inflated a number of balloons based on their level of happiness and wrote each person’s wish on the balloon of their favourite colour. On the final night of his journey, he strung up the inflated balloons at Dochula Pass, bobbing amidst Buddhist prayer flags. Explore the whole stunning project at Balloons of Bhutan. Today we have decided to feature a little book about a concept close to our heart called Gross National Happiness. 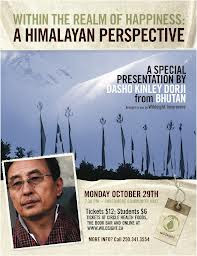 Simply stated in the book’s synopsis, “What we can learn from a country where Gross National Happiness is more important than Gross Domestic Product?” The book offers 15 keys to happiness amongst its chapters of inspirational quotations reflecting the unique and colourful country of Bhutan, a country that embraces “compassion, understanding and kindness”. Here are 15 keys to happiness, and if you happen to think of any more be sure to share them on our Facebook and Twitter! 1) If you search for happiness, you will not find it. If happiness searches for you, it will always find you. 2) A flea springs up from a cozy blanket; a hero springs up from a rocky ledge. 3) A yak herder takes the credit, but it is the poor yak which carries the heavy load. 4) If you have not experienced great suffering and great happiness, you will find it hard to tell them apart. 5) Suffering always ends, and so does happiness. 6) Anger is a golden opportunity to practice patience. 7) We are all shepherds, so learn how to tend kindly to your flock. 8) Angrily rebuking a quiet and thoughtful person is like trampling on the petals of a rose. 9) It is better to plant flowers than to build monuments. 10) If your leader turns into a dog, be sure to ask why he is wagging his tail. 11) Even the Sun can be eclipsed, so be aware of your own limitations. 12) Even while it sleeps, the cat dreams of the mouse. 13) Real intelligence is not about what you say, but how you behave towards others. 14) You can choose not to speak, but it is impossible to silence idle chatter in the streets. 15) Live simply. Leave only footprints and carry only your shadow. This is the way. To read more purchase the book here and be sure to read up on past blog posts about amazing Bhutanese literature! 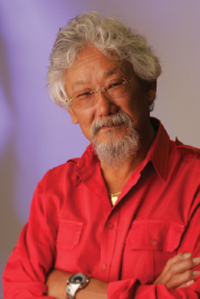 David Suzuki, Co-Founder of the David Suzuki Foundation, and award-winning scientist, environmentalist, and broadcaster, will be travelling to Bhutan in March 2013 and is a staunch advocate for the concept of Gross National Happiness. In his November newsletter, Dr. Suzuki emphasises the importance of looking beyond GDP and take into consideration other markers, including societal well-being and environmental conservation. Photo Credit: David Suzuki Foundation. “We’ve measured our well-being by tracking gross domestic product since the mid-1940s. But spending money on things that anyone would see as negative, or even horrendous — including oil-spill clean-ups, car accidents and products that we discard and replace every year — contributes to positive GDP growth. It’s time to come up with a new measuring stick. 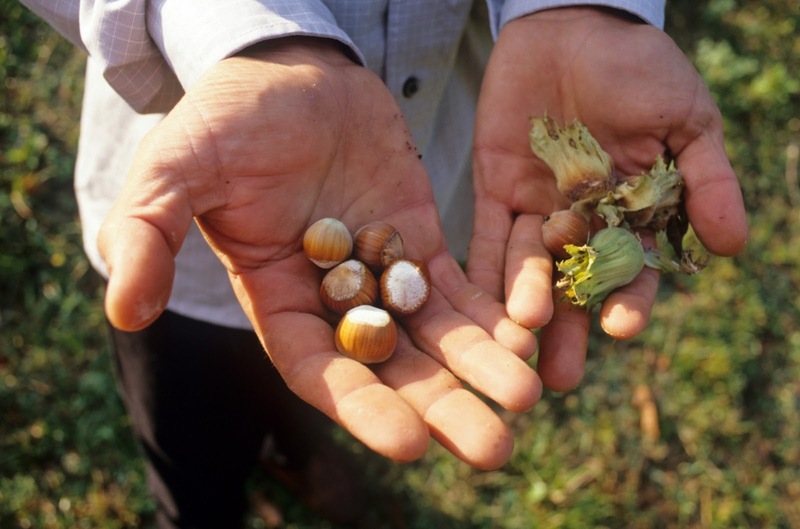 Do Hazelnuts Equal Happiness in Bhutan? As Bhutan grows, it is trying to find ways to develop economically, but through the lens of Gross National Happiness. One American entrepreneur has been assisting Bhutan with this task – by growing and exporting hazelnuts in Eastern Bhutan. Using idle and unfit farmland, his team teaches Bhutanese farmers in isolated villages how to properly grow and care for the trees. The initiative has also brought some added benefits. The hazelnut trees grow quite well on steep mountains and ridges, and as a result their roots can help prevent deadly landslides. As we hi-lighted last week (Gross National Happiness Takes Center Stage), Bhutan and in particular, Gross National Happiness, is becoming more prominent on the wold stage. 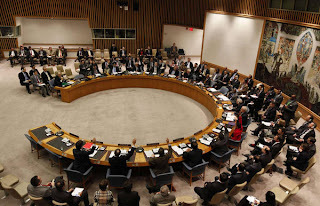 Beginning on April 2, hundreds of representatives from government, academics and other civic leaders around the world met at the United Nations for a high level meeting on the importance of incorporating social issues, environmental well-being and sustainability into economic policy. “Happiness and Well Being: Defining a New Economic Paradigm” at the United Nations. Photo Credit: Associated Press. Make sure to stay connected with live updates and contribute to the conversation here and here.